At long last, irrepressible panda cub, Ping, is leaving the safety of his nature reserve to embark on a journey of a lifetime! 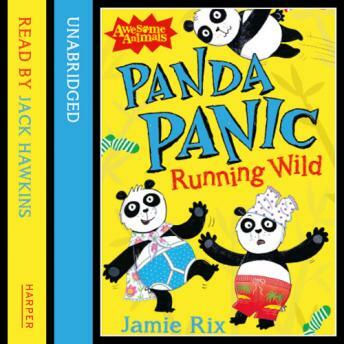 The second hilarious Panda Panic story in the fantastic new Awesome Animals series - awesome adventures with the wildest wildlife, from award-winning authors. Ping the panda lives with his mum and twin sister on the Wolong nature reserve in China. Although his name means 'peaceful' he's anything but! Ping craves adventure and excitement but unfortunately he is a panda... and pandas do pretty much nothing except eat bamboo. But when Ping gets swept off down the river, he at last finds the adventure he's been waiting for. Will Ping and his new friend Little Bear enjoy their freedom, or will the shadows, and the bandits, and the lurking snow leopards have them running for home-sweet-home?